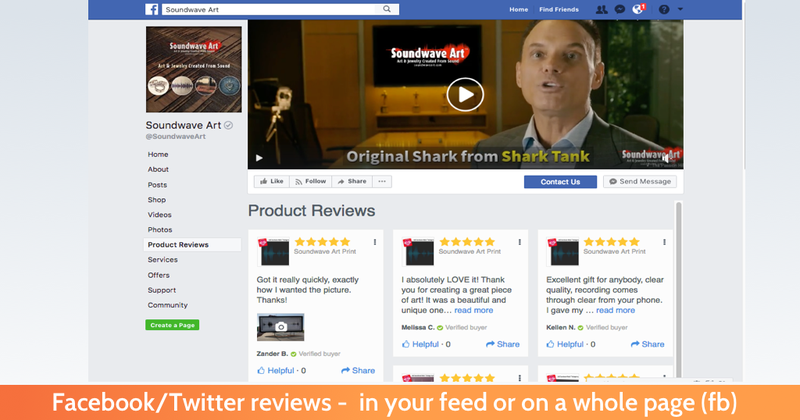 Collect more reviews, show them off everywhere and turn more shoppers into customers. 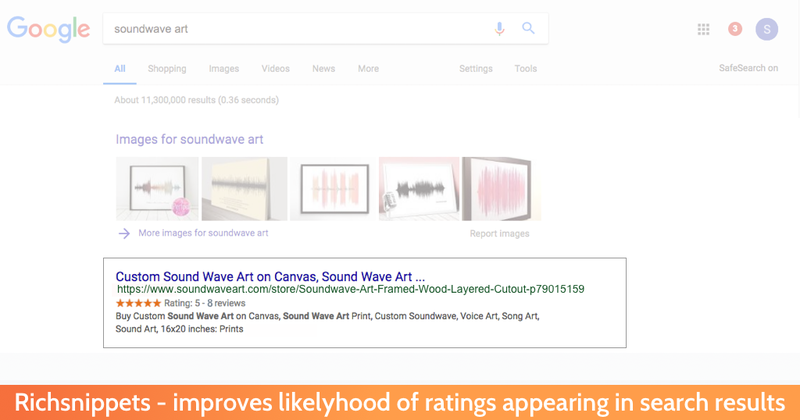 Get more organic traffic to your site with Google friendly SEO product review rich snippets. Sell more, faster, with our Premium Features from day 1. Product reviews + Q&A are a big deal. Shoppers are 2x more likely to purchase and spend 11% more if they interact with both reviews and Q&A while on your store. 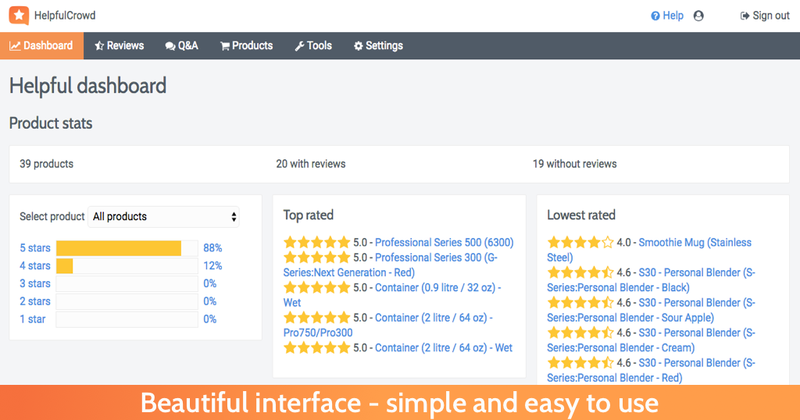 Q&A comes standard in our product review app + other premium features incl. photo reviews + video reviews. Gotta say, so far in my setting up this new ecommerce world this has been the best laid out and best integration...that would include mailchimp, yotpo, shipstation and orderdesk. The guys have really nailed it! Dave.D, Land Shark Outfitters. 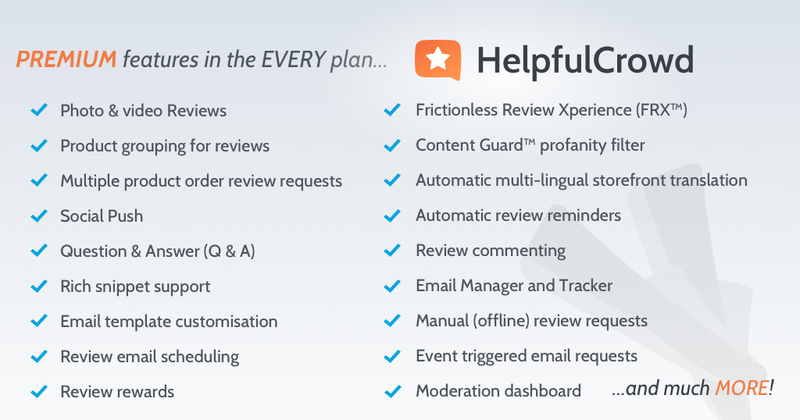 Most of our competitors collect reviews "in-email". We don't for good reason - collection rate. Here's why FRX™ consistently delivers industry leading 15-35%+ review collection rates. 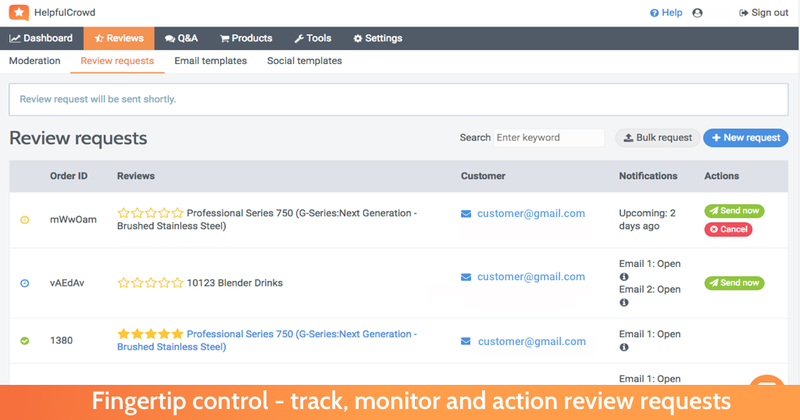 Multi-product orders: FRX™ can collect a product review for every item from one email. 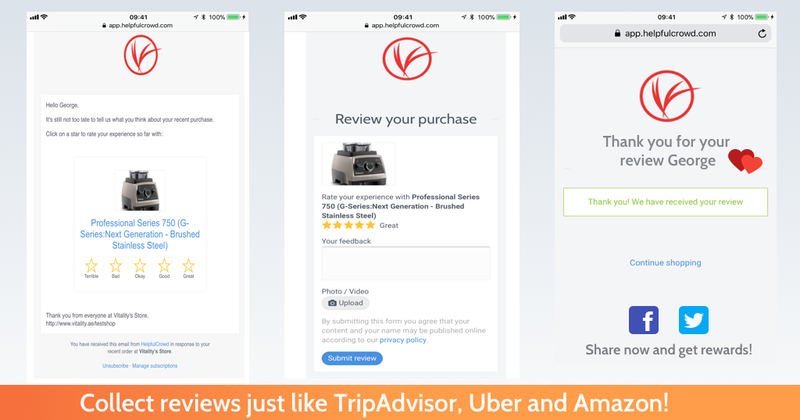 In-email reviews can only collect one (1) product review in one email. 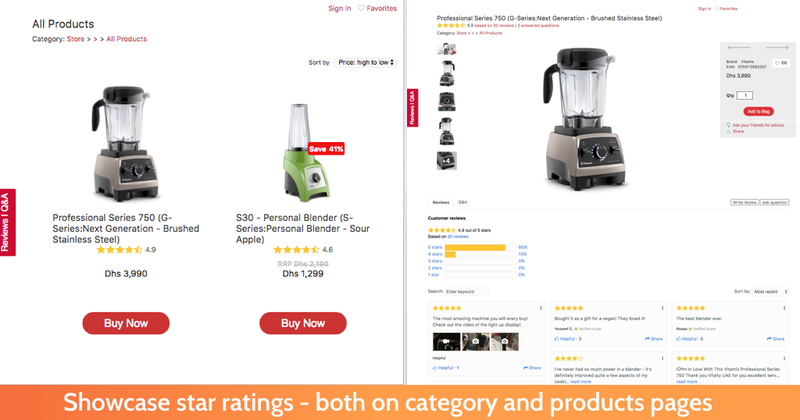 Frictionless collection process: FRX™ emails only have one (1) simple question "How many stars would you rate this product", which creates user engagement to complete the review. In-email reviews have four (4) different actions on email opening, resulting in significantly higher bounce rates. Email compatibility: we deliver a consistent UX, every time in every mail client. In-email can't collect reviews 'in-email' in MS Outlook...and many other email clients. 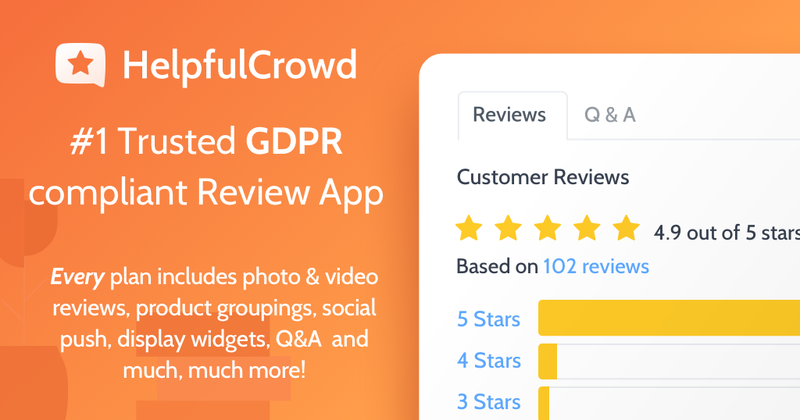 You get access to ALL our premium features, free plan included, when you join HelpfulCrowd. 1-click install with easy migration from other apps. Take a FREE 30-day test drive today and find out what we can do together!